Bob Dylan, Florence + The Machine and Robbie Williams play live in Hyde Park as British Summer Time returns for a seventh year in 2019 with another impressive line-up of big names in rock and pop. 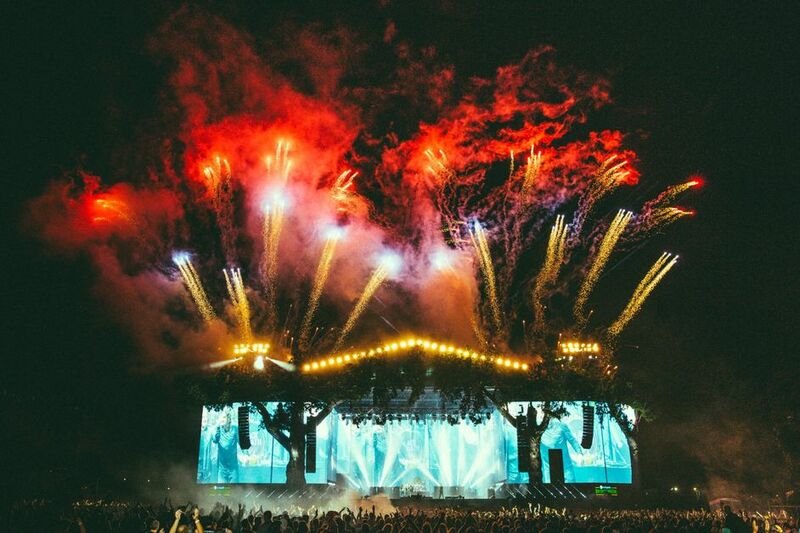 Playing Hyde Park on Friday 12th July, Bob Dylan and Neil Young take to the open air stage. Florence + The Machine and The National appear on Saturday 13th July while Sunday 14th July sees Robbie Williams rock the park. Between two weekends of live music there's free entertainment with open-air movie nights and tennis screenings, street food stalls and daytime DJs. Free sports sessions and after school multi-sports for kids are also part of the mid-week entertainment. Look out for more acts to be announced. What are the best dining options near British Summer Time Hyde Park London? British Summer Time Hyde Park gyms, sporting activities, health & beauty and fitness. The best pubs near London British Summer Time Hyde Park. British Summer Time Hyde Park clubs, bars, cabaret nights, casinos and interesting nightlife. Where to have your meeting, conference, exhibition, private dining or training course near British Summer Time Hyde Park. From cheap budget accommodation to luxury 5 star suites see our discounts for Hyde Park hotels, including The Levin Hotel London from 0% off.